As space exploration continues, many new methods are being used to find out what types planets are out beyond our immediate solar system. These planets are referred to as exoplanets, and we have a lot to learn about their location and characteristics. A past search brought one such discovery. The exoplanet, OGLE-2016-BLG-1195Lb, was brought into the picture with the help of Microlensing. At 13,000 light years away this is no small accomplishment. This specialized technique can help to view items further away than other techniques allow. OGLE-2016-BLG-1195Lb shares some similarities with our own planet. The exoplanet is comparable in mass to Earth with a star the same distance away as our sun. It orbits its star just as Earth does the sun, however, the star lacks enough brightness to heat the OGLE-2016-BLG-1195Lb. This exoplanet, therefore, is a great ball of ice. This feature has been compared to our own past ice-age, leaving some to wonder if other planets may have life restored after years of ice coverage. Due to its dimming star, this planet is doomed to remain a frozen wasteland. Others, however, may be discovered that have the potential to break free of their frozen state. 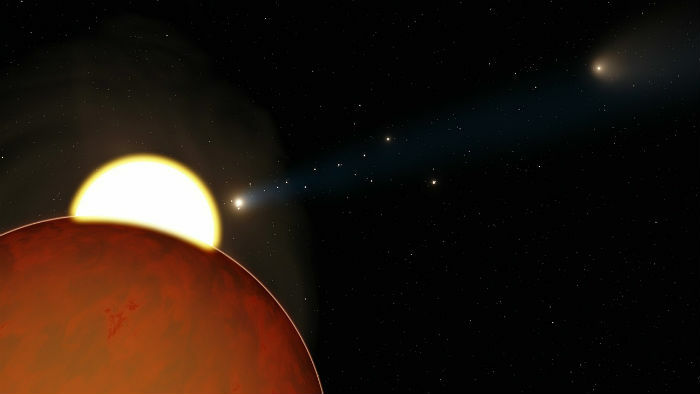 To locate anything as far away as this exoplanet, advanced techniques must be used. Gravitational microlensing makes the discovery of things that are too far away to be seen clearly possible. Instead of looking at the object directly, it relies on the reaction of a star’s light. When large items move in front of a star, the light of the star is moved. The resulting bending and magnification of light creates a sort of lens that the object can be seen through. This method can be used to identify stars and their possible orbiting planets. This particular project began at University of Warsaw in Poland, in an effort described as the Optical Gravitational Lensing Experiment (OGLE). Once the discovery had been made, NASA and Korea joined in on the search. NASA used the Spitzer Space Telescope and Korea made use of three telescopes based throughout the world. These telescopes all work together to gather information on a single item, but from different perspectives. They are located in Australia, Chile, and South Africa. With these combined efforts, scientists were able to gather quite a bit of information. First of all, they discovered that the mass of OGLE-2016-BLG-1195Lb was much less than they expected. This is significant, because sometimes it is difficult to pick up the presence of items with lower masses. This gives researchers a better understanding about the possibilities of microlensing. Orbital distance was also noted. The Milky Way hosts many planets and stars, however, it is now thought that very few are close to the central bulge like our solar system. The flat disc area may very well be home to more planets like OGLE-2016-BLG-1195Lb. 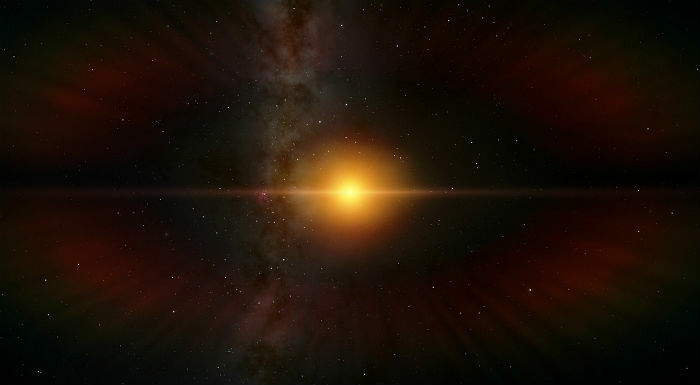 The star that this exoplanet is orbiting is so small that it barely falls into the category of “star” at all. Its size makes it fall extremely close to being identified as a dwarf or ultracool dwarf star. TRAPPIST-1 is an ultracool dwarf star that is known to have seven planets the size of Earth orbiting it. It is theorized that up to four of the seven planets orbiting TRAPPIST-1 may have the ability of supporting living things. Due to the size and dimness of TRAPPIST-1, however, this is only a possibility because these planets orbit very close to it. OGLE-2016-BLG-1195Lb is gathering no warmth or life supporting properties from its star due to the large distance between them. Space exploration continues to bring new discoveries from worlds that were once beyond our reach. The technology of microlensing brings the possibility of many more discoveries outside of our solar system. When combined with telescopes from around the world, research data can be quite accurate. Stars and the planets that orbit them may be a more prevalent occurrence that previously thought. We are just now beginning to understand the various things dispersed in different parts of the Milky Way. Continued research by the Optical Gravitational Lensing Experiment may very well bring more exoplanets into the picture. The fact that scientists can determine the presence of ice covering a planet is an indicator that more fascinating discoveries are possible.